So, first of all here is the colouring page for this week. I did it some time ago. 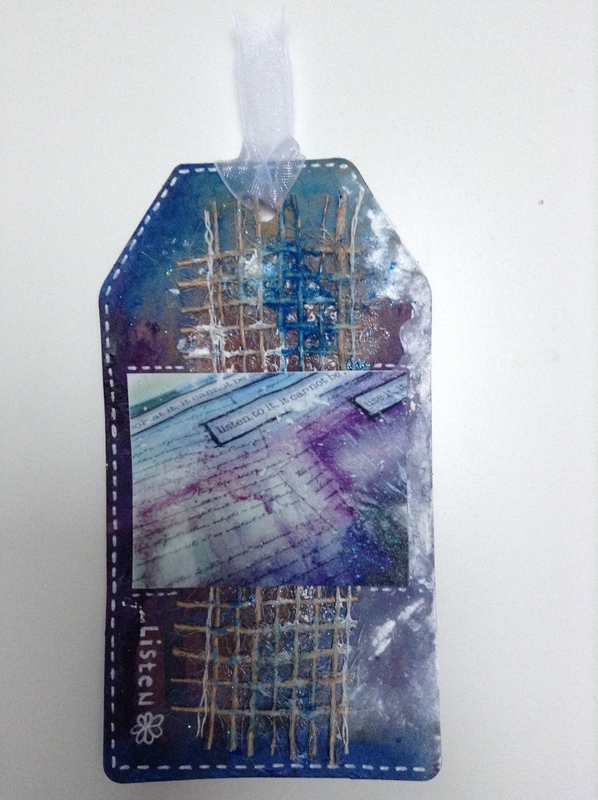 This one is a tag made for Life Book 2015 Week 2. It is done with acrylics, water soluble crayons, glitter glue, white gel pen and one of my art journal page photos, all glued with gel medium. I never made tags before, so this was kind of first time. Not bad, quite fun, just cannot see the use of them. 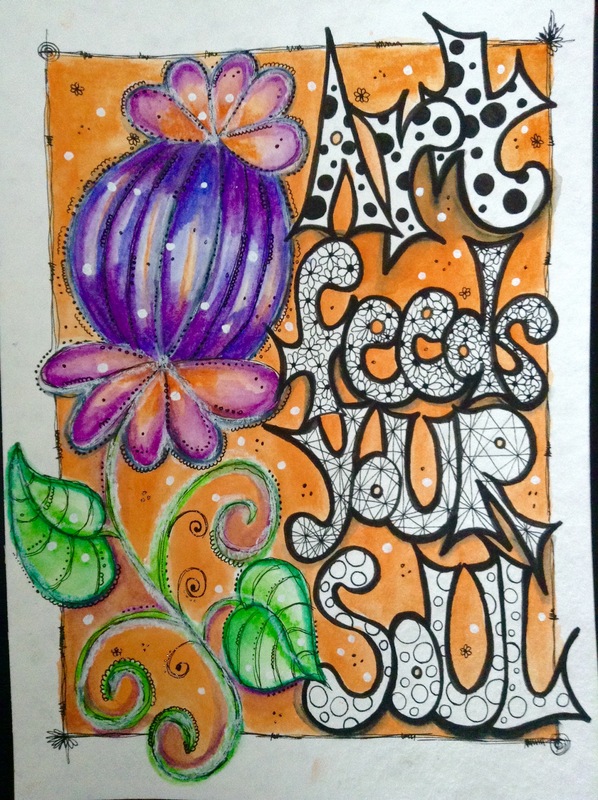 And finally my attempt at Week 3 lesson in Life Book 2015. I had much fun with the letters and lots of trouble with the flower, but finally it turned out nice. Done with water soluble crayons, black ink marker, Faber Castell pit pen and white paint marker.